An easy-to-wear and loose-fit top made of an incredible fabric which is soft, flowing, cool and comfortable. Tencel® Lyocell, to give it its full name, is a new eco textile that drapes well, is extremely soft to the touch, and yet is hard wearing and machine washable. Tencel® is made from the wood pulp of Eucalyptus trees certified by the Forestry Stewardship Council and the process used to make the fibre won the European Union’s Environmental Award 2000 in the category 'technology for sustainable development'. The fabric is blended with 50% Organic Cotton for a better drape. As an oversized top this t shirt is ideal for layering as a loose top over a tighter t shirt and is great for Yoga and Pilates. The fabric is 140gsm jersey and therefore is slightly see-through, especially in the white colour. 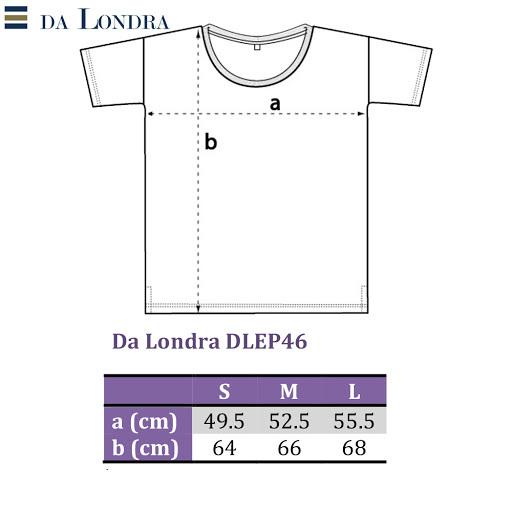 Also check out our other Da Londra bamboo t shirts and other eco clothing.